Our Muslim friends all over the world are observing the Ramadan where they have to fast for a whole month. Come July 6th, they will be celebrating Hari Raya. I’m sure as of now, if you are an avid follower of the Malay entertainment scene, your newsfeed be it on Facebook, Twitter or Instagram, will be filled with celebrities promoting their products or endorsement deals. And here you are wishing you could view the product in front of you instead of behind your phone or computer screens. Listen up, free your calendars for this upcoming weekend, Friday to Saturday (17-19 June) as Celebfest 2016 brings together various established and celebrity brands from Singapore, Malaysia, and Indonesia. Other than feasting your eyes on the 120 booths, you will get to meet 40 of your favourite celebrities in person. Expect celebrities such as Rossa, Elfira Roy, Remy Ishak and local celebrities such as Norfasarie and Nurul Aini. Get ready to shop for the latest trends and collection this weekend! See you this weekend at Suntec Hall 401-402! The best part? Entry is free. 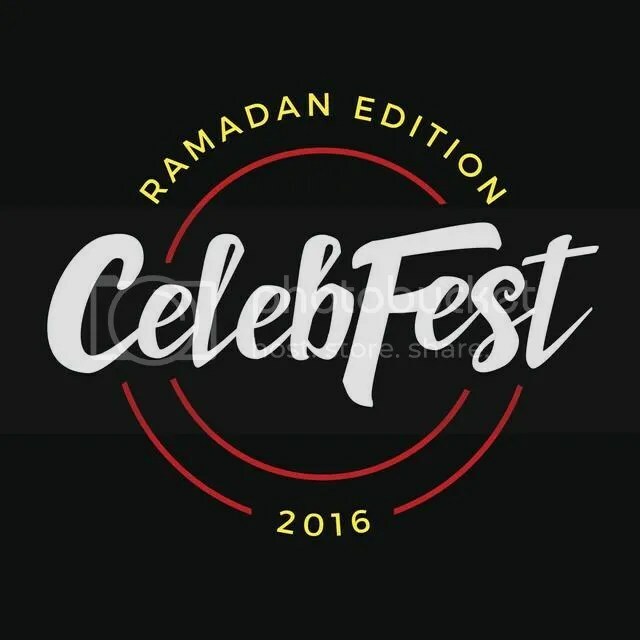 For more information, please visit CelebFest’s website, Facebook Page and Instagram.